What I love most about Tradsey is its collection of Chanel bags. 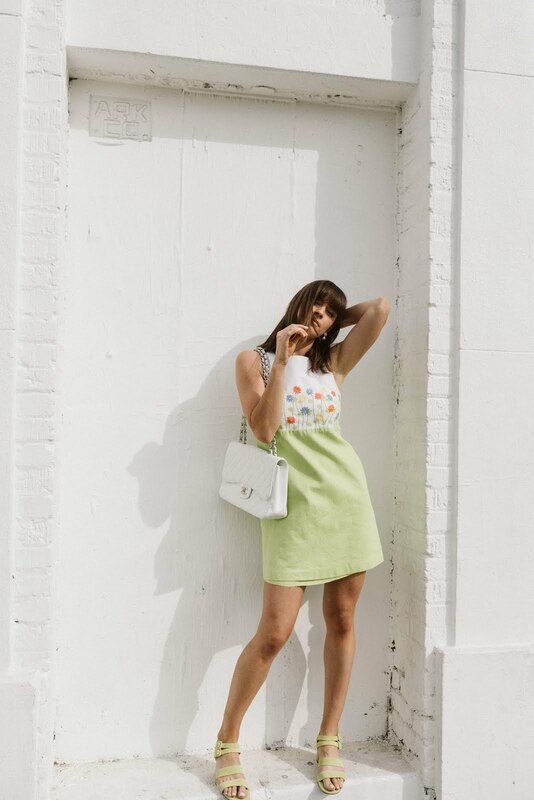 Tradesy has unique pieces (ranging from vintage to only a few seasons ago), but that means you probably won't have the same bag every girl is eye-ing. 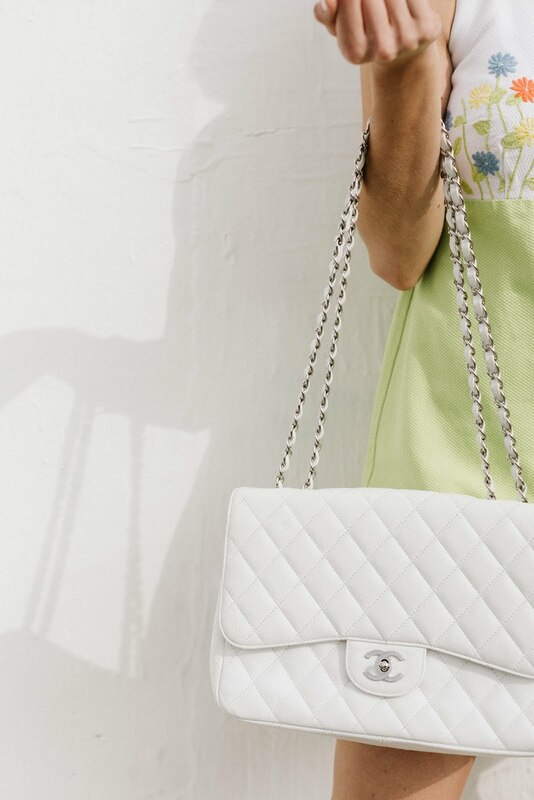 This classic Chanel flap bag is the bag has been my dream bag for years. The shape and size is so practical for the on-the-go. 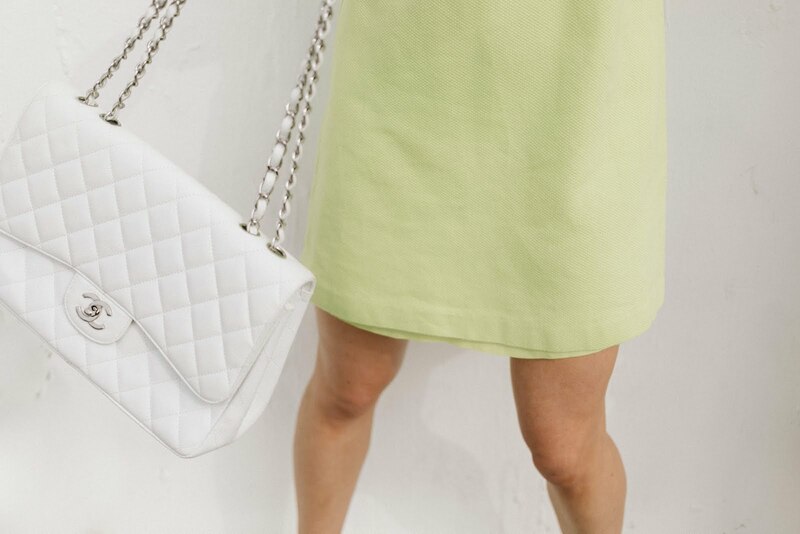 The pop of white is so clean and cheeky. 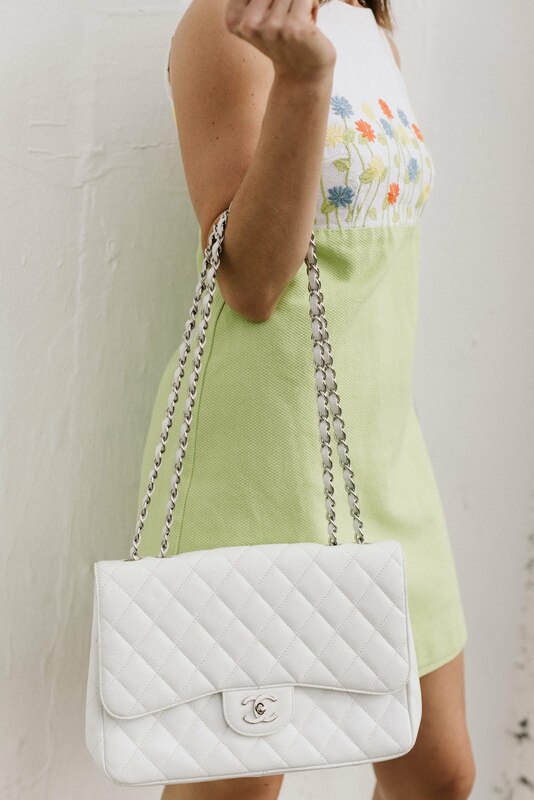 I paired this bag with my latest Rose Bowl Flea Market find- a 1960's shift dress. If you're looking to invest in a bag, and don't want to pay full price- Seriously, shop on Tradesy. I have sold and bought on the site for about year now, and it is my first stop when looking to invest in a new bag. Vintage Dress from Courtyard LA, Chanel Bag from Tradesy, Marais Sandals, Vintage 60's Clip on Earrings.